Are you looking for an electrician in Chorley? Look no further than PNP Electrical services! We have a wealth of knowledge and experience when it comes to professional services for your home or business. 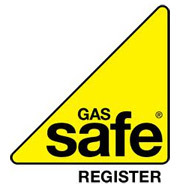 Our electricians in Chorley are fully insured to carry out maintenance checks to make your building a safe place to be. A PNP Electricals’ electrician in Chorley has the required accreditation and certification, so you needn’t worry about there being any compromises made to your safety and security whilst having work carried out on your premises. As well as this, all our professionals have a Disclosure and Barring Service check (previously known as a CRB check) so they are fully insured when carrying out electrical services, especially where vulnerable people are present. So, whether you’re looking for plumbing, heating or electrical repairs, you can rely on PNP Electricals to provide you with an affordable solution. For us, no project is ever too big or too small, we aim to provide a reliable service to meet an array of needs and wants! Click here to speak to us about hiring an electrician in Chorley!